We'll make your bed for you...... every morning! 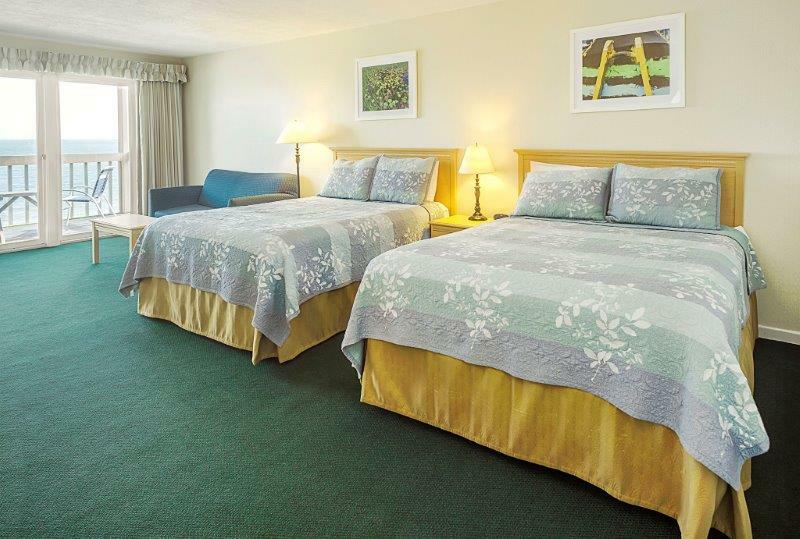 Each room features a refrigerator, microwave, coffee maker, flat screen tv, free WiFi, heat, air conditioning, and daily housekeeping service. 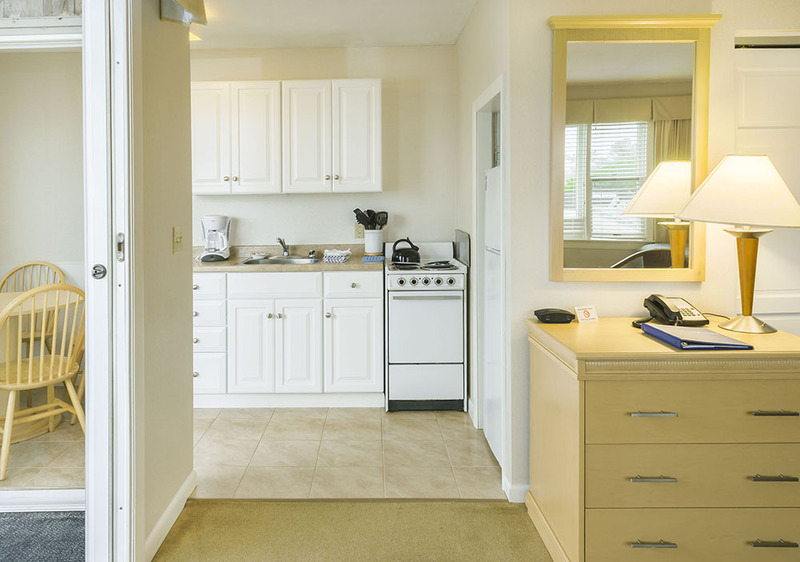 Many of our rooms also have well equipped kitchens with full size ranges and , full size refrigerators, microwaves, toasters and are outfitted for in-room dining. And daily housekeeping service. All rooms are non-smoking. And no pets are allowed - not even cute ones. 430 sq ft. room with two queen beds, a sleeper sofa, a well-equipped kitchen and private balcony with a BEautiful ocean view. Limited online availability. Call us to reserve. 580 SQ FT. ROOM WITH ONE QUEEN BED AND TWO TWINS WITH A DIVIDING DOOR BETWEEN THE SLEEPING AREAS. THE ROOM ALSO HAS TWO BATHROOMS, TWO TV'S, as well as A WELL-EQUIPPED KITCHEN AND PRIVATE BALCONY WITH A beautiful OCEAN VIEW. 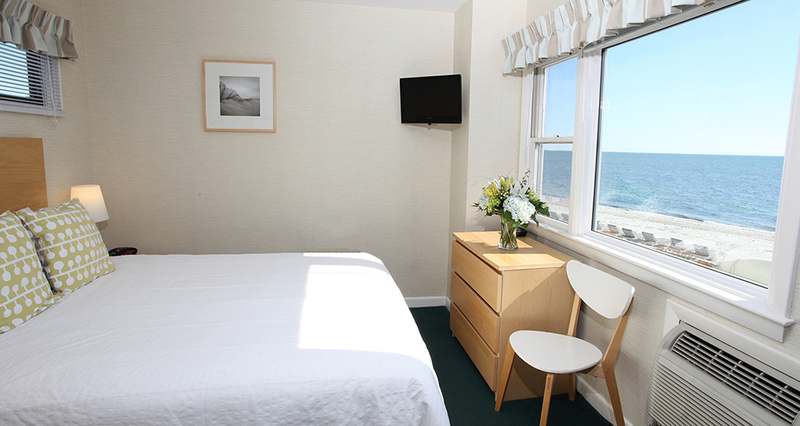 350 sq ft. room with two queen beds and a private balcony with two chairs where you can enjoy the ocean view. 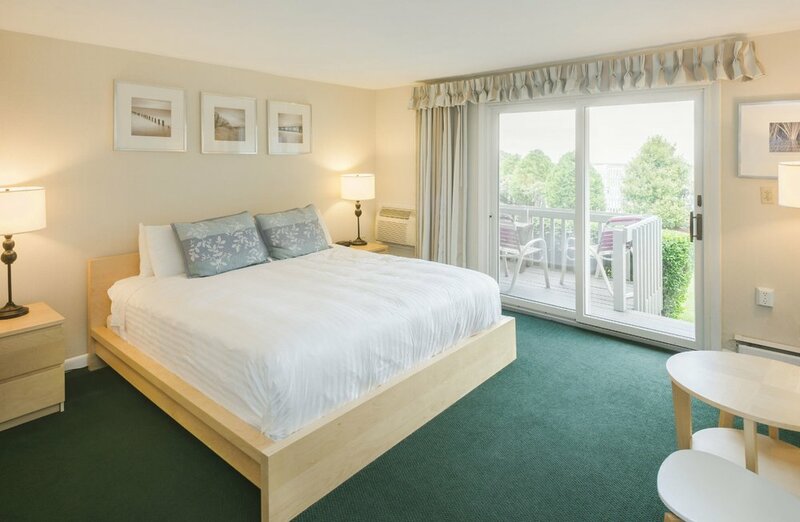 520 sq ft. room with two queen beds, a large well-equipped kitchen and private balcony with two chairs where you can enjoy the ocean view. 620 sq ft. 1st floor room with one queen bed, sleeper sofa, rollaway bed, a large well-equipped kitchen & private balcony with two chairs where you can enjoy the ocean view. 300 SQ FT. ROOM WITH ONE KING BED AND A PRIVATE BALCONY WITH TWO CHAIRS OFFERING A VIEW OF THE POOL & GROUNDS. This room is on the 1st floor and has a stand up shower stall. 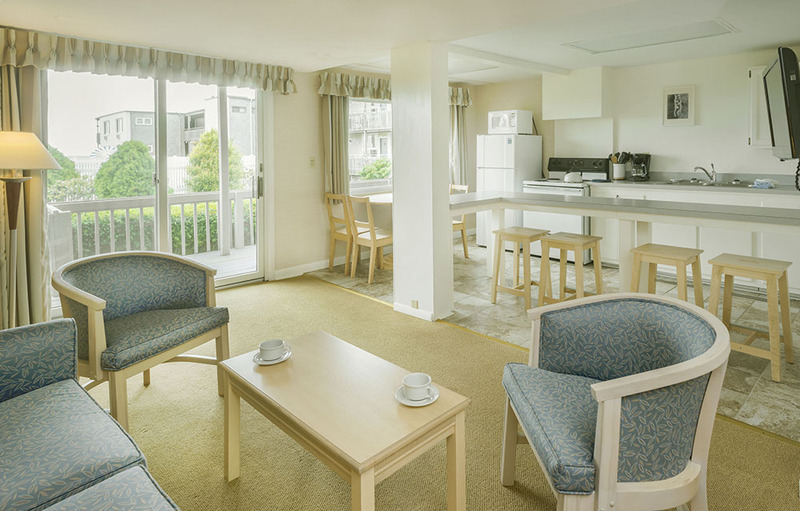 290 sq ft. room with two double beds AND SHARED BALCONY WITH TWO CHAIRS WHERE YOU CAN SIT AND ENJOY THE OCEAN AIR. 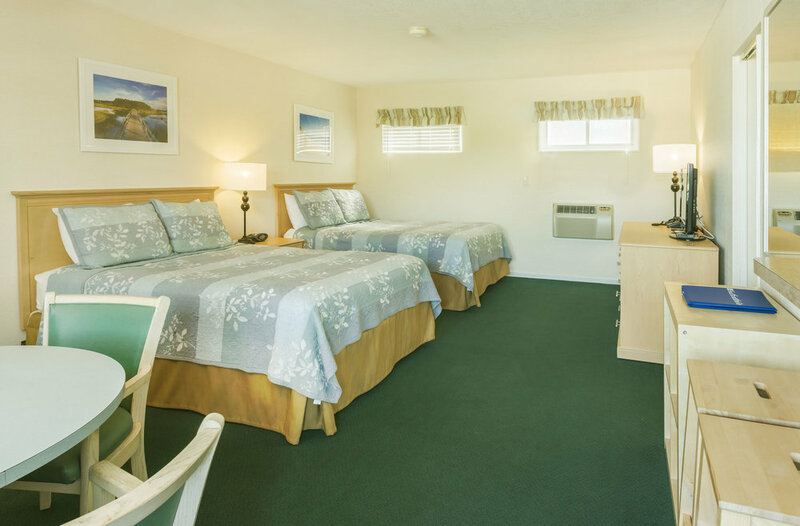 380 sq ft. room with two queen beds, a small well-equipped kitchen and shared balcony with two chairs where you can sit and enjoy the ocean air. 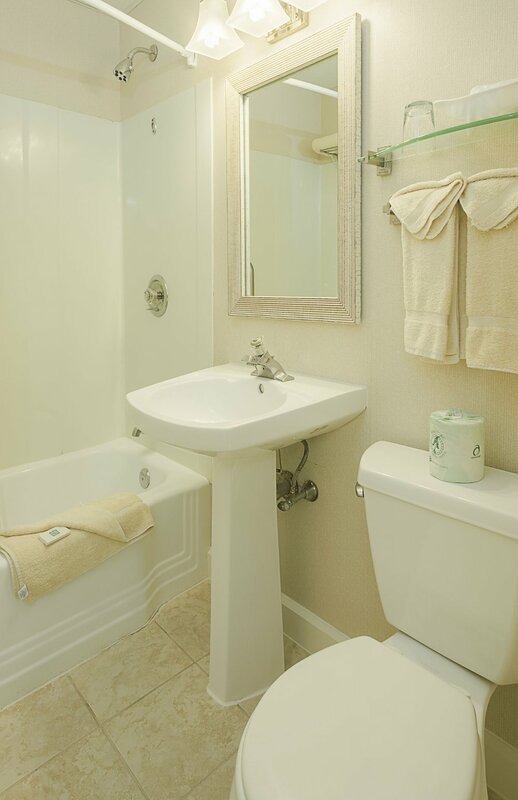 This room type is available with blocked view at a lower nightly rate. 170 sq ft room with one queen bed. While this is a small room, the view of the ocean is quite nice. 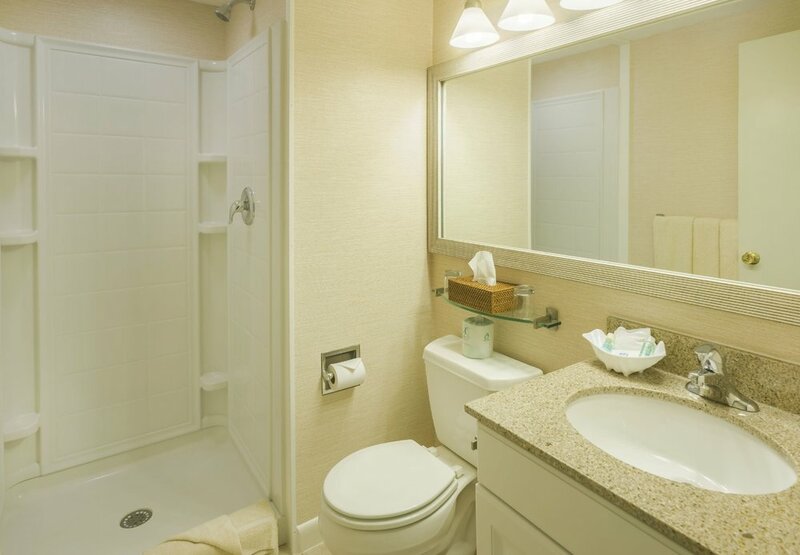 This room is on the 2nd floor, has a stand up shower stall and does not have an outdoor seating area outside the room.